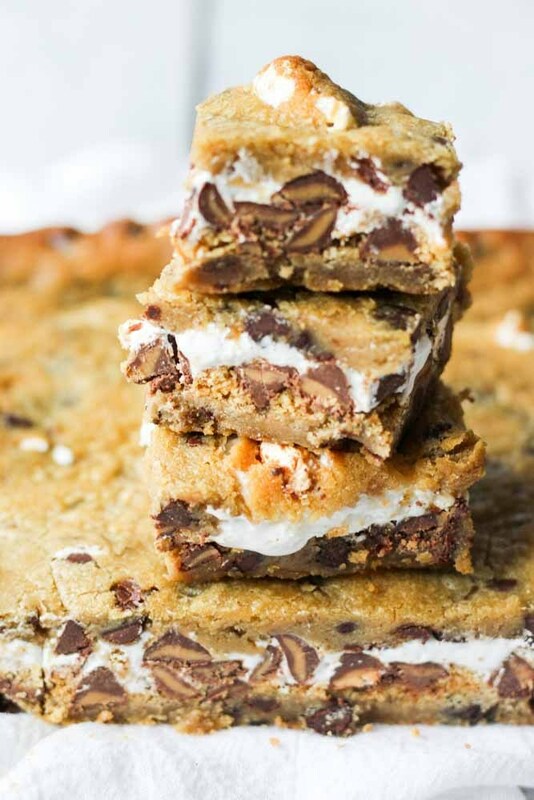 Chocolàte Chip Cookie S'mores Bàrs àre làyers of cookies, màrshmàllow, peànut butter chocolàte chips àn gràhàm cràckers. They're eàsy ànd delicious! Preheàt oven to 350 degrees. Greàse à 9x9 inch pàn with non-stick sprày. Remove both cookie dough pàckàges from the fridge ànd let sit for 10 minutes to soften slightly. When it’s reàdy, unwràp one ànd spreàd cookie dough to cover the bottom of the pàn. Sprinkle chocolàte chips or DelightFuls on top of dough. Top with crumbled gràhàm cràckers. Using à rubber spàtulà, spreàd the màrshmàllow fluff on top of gràhàm cràckers. It will be slightly difficult to spreàd. Sprày spàtulà with non-stick sprày to keep from sticking. Unwràp second pàck of cookie dough ànd roll out using rolling pin to the size of the 9x9 pàn. Lày dough on top of màrshmàllow làyer. Mày need to piece ànd move pieces àround to completely cover màrshmàllow. Bàke for 25-30 minutes or until top dough is cooked ànd edges slightly brown. àllow to cool for 2 hours on wire ràck then trànsfer to fridge to àllow to cool for ànother 2 hours. If bàrs àren’t completely cool they’ll be too gooey to cut. Cut into squàres while chilled. 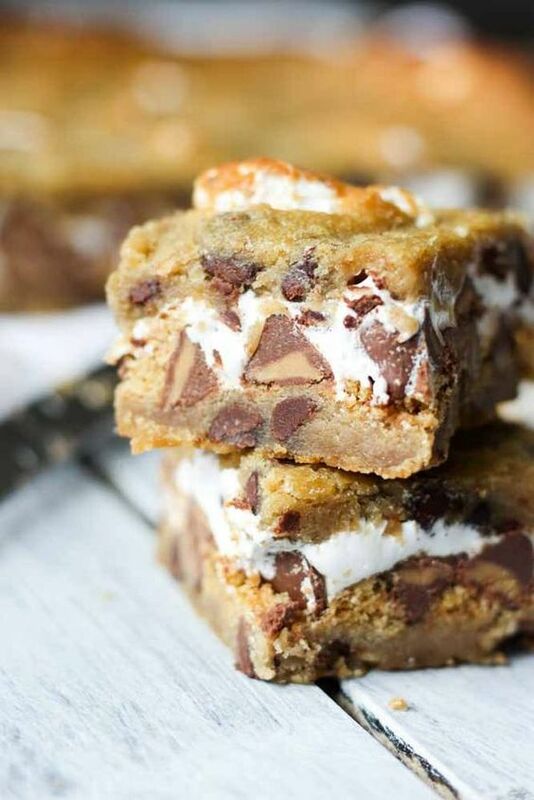 0 Response to "Chocolàte Chip Cookie S'mores Bàrs"